What exactly is Base 10 arithmetic ? Teacher: “Now we’re going to learn about base 10 arithmetic”. Wise guy: “Is that where 3 + 4 = 12, or is it where 3 x 4 = 12 ?”. I did a search on the net and found the term “base 10” all over the place. What does it mean? “Does the 1 in 10 stand for the number 10’s in 10?”. The interpretation of 10 in the system described as “Base 10” depends on the base of the system, so what is it? How do I find out? “A straight line is a line which is straight”. Writing “Base 10” when you mean “Base ten” is probably the first step in making math meaningless. Arithmetic is the art of processing numbers. In ordinary language these words are verbs which have a direct object and an indirect object. “Add the OIL to the EGG YOLKS one drop at a time”. “To find the net return subtract the COSTS from the GROSS INCOME”. In math things have got confused. We can say “add 3 to 4″or we can say “add 3 and 4”. We can say “multiply 3 by 4” or we can say “multiply 3 and 4”. At least we don’t have that choice with subtract or divide. but when I see “add 3 and 4” my little brain says “add to what?”. There are perfectly good ways of saying “add, or multiply, 3 and 4” which do not force meanings and usages onto words that never asked for them. “Find the sum of 3 and 4” and “Find the product of 3 and 4” are using the correct mathematical words, which have moved on from “add” and “multiply”, and incorporate the two commutative laws. 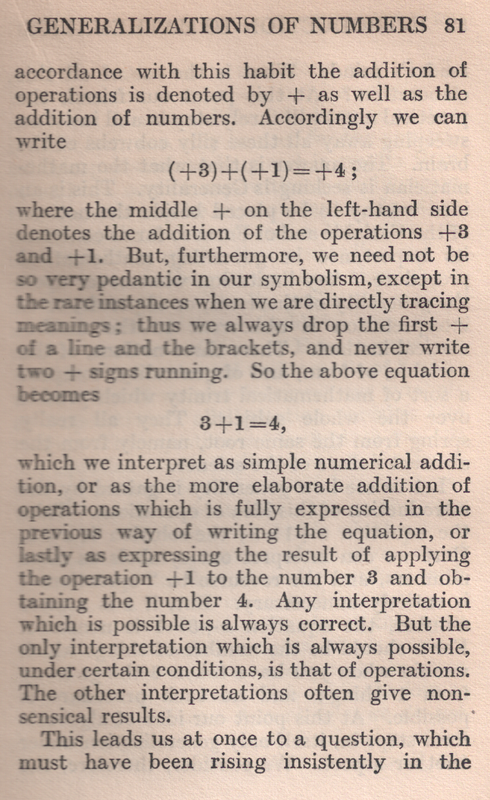 which with the introduction of the symbols “+” and “-“, used as in the statement above allows the symbolic expression 3+5+8-4+1 to have a completely unambiguous meaning. It uses the “evaluate from left to right” convention of algebra, and does not rely on any notion of “binary operation” or “properties of operations”. If + is a binary operation, which are the two inputs for the first occurrence of + and which are the inputs for the second occurrence of + ? 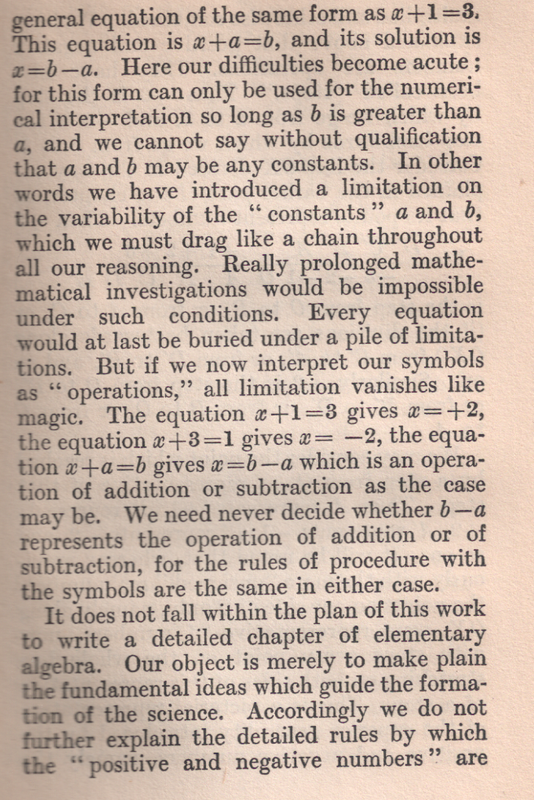 The combination of symbols 2 + 6 + 4 has NO MEANING in the world of binary operations. 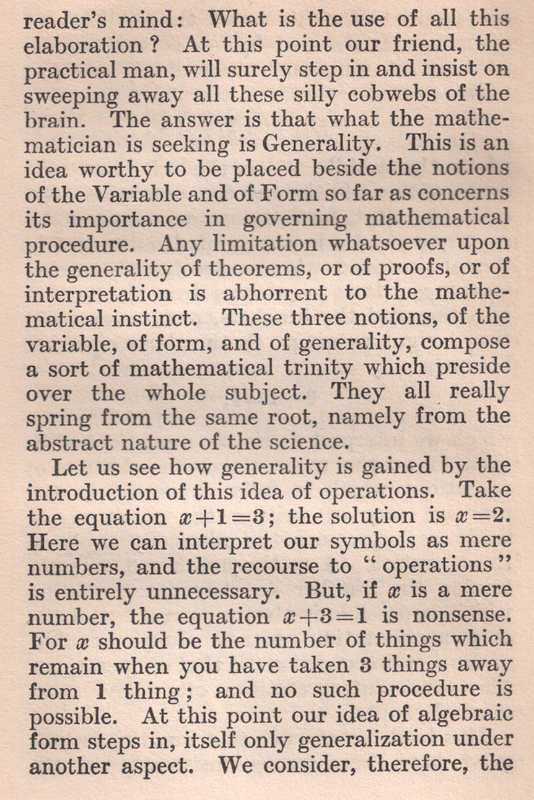 See A. N. Whitehead in “Introduction to Mathematics” 1911. In addition I would happily replace the term “algebraic thinking” in grades 1-5 by”muddled thinking”. 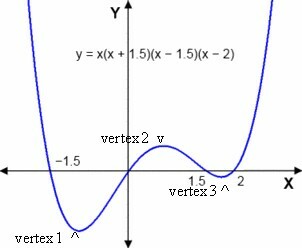 Here are some definitions of the vertex of a parabola. One is complete garbage, one is correct though put rather chattily. the right. 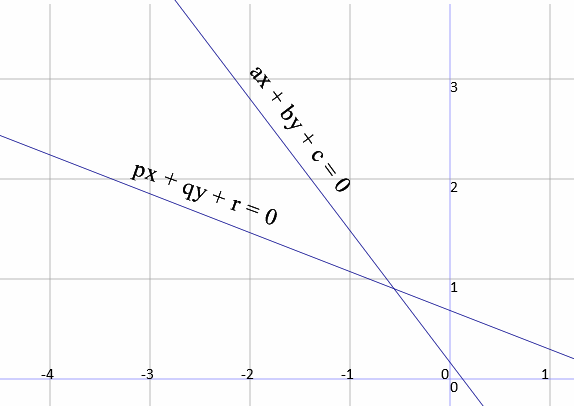 The peak will be pointing either downwards or upwards depending on the sign of the x2 term. Virtualnerd: Each quadratic equation has either a maximum or minimum, but did you that this point has a special name? In a quadratic equation, this point is called the vertex! 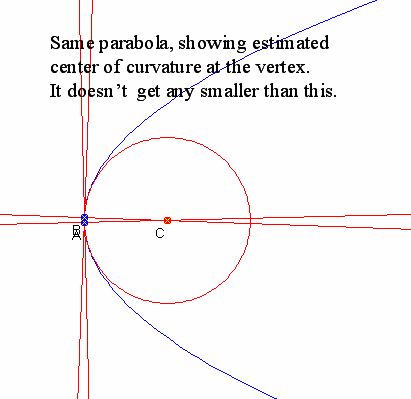 Mathwords: Vertex of a Parabola: The point at which a parabola makes its sharpest turn. Purplemath: The point on this axis which is exactly midway between the focus and the directrix is the “vertex”; the vertex is the point where the parabola changes direction. Wikibooks: One important point on the parabola itself is called the vertex, which is the point which has the smallest distance between both the focus and the directrix. Parabolas are symmetric, and their lines of symmetry pass through the vertex. Scoring is 10 points for finding the garbage definition and 5 points for the correctish definition !!!! Go for it! When I studied parabolas, back in 1958 or so (!) the parabola had an apex. So I checked the meaning of vertex, and found that the word was frequently misused. 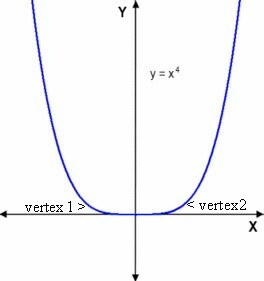 Basically a vertex of a curve is a point where the curvature is a maximum or a minimum (in non math terms, most or least curved). A hyperbola has two vertices, one on each branch; they are the closest of any two points lying on opposite branches of the hyperbola, and they lie on the principal axis. On a parabola, the sole vertex lies on the axis of symmetry. On an ellipse, two of the four vertices lie on the major axis and two lie on the minor axis. For a circle, which has constant curvature, every point is a vertex. 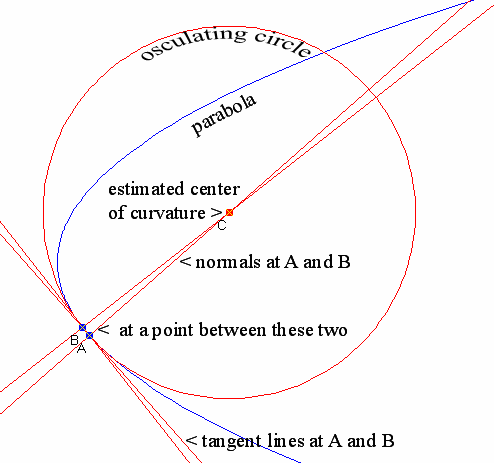 The center of curvature at a (nice) point on a curve is the center of the closest matching circle at that point. This circle will usually lie “outside” the curve on one side of the point, and “inside” the curve on the other side. Look carefully at the picture. It is called the osculating or kissing circle (from the Latin). The diagram below shows this estimate, for the blue parabola, at the vertex. Finally (this has gone on further than expected!) I found this delightful gif. Angle between two lines in the plane……Vector product in 3D…….connections??????? when I decided that the “angle between two lines” routine needed a rewrite. Some surprises ensued ! This is where the books stop, which turns out to be a real shame ! Things are simpler if we look at these two lines through the origin when they both have positive slope. Then the point whose coordinates are (b,a) lies on the first and (q,p) lies on the second. 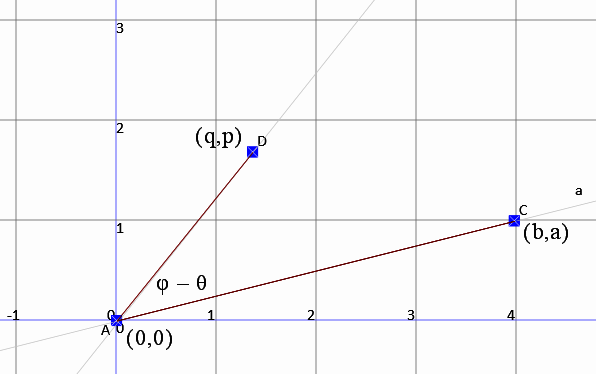 which is a very nice formula for the tan of the angle between two lines. This is ok if we are interested just in “the angle between the lines”, but if we are considering rotations, and one of the lines is the “first” one, then the tangent is inadequate. We need both the sine and the cosine of the angle to establish size AND direction (clockwise or anticlockwise). and sin(φ– θ) as (bp – aq) divided by the same something. It was at this point that I saw M times the sine of the “angle between” as twice the well known formula for the area of a triangle. “half a b sin(C)”, or, if you prefer, the area of the parallelogram defined by the two line segments. Suddenly I saw all this in 2D vector terms, with bq + ap being the dot product of (b,a) and (q,p) , and bp – aq as being part of the definition of the 3D vector or cross product, in fact the only non zero component (and in the z direction), since in 3D terms our two vectors lie in the xy plane. Why is the “vector product” not considered in the 2D case ??? It is simpler, and looking at the formula for sine , above, we have a 2D interpretation of the “vector”or cross product as twice the area of the triangle formed by (b,a) and (q,p). (just as in the standard 3D definition, but treated as a scalar). Dot product and cross product are much better anyway, and a bit of ingenuity will lead you to the reason for the word “cross”. Anyway, the end result of all this, for rotating points on a circle, was a calculation process which did not require the actual calculation of any angle. No arctan( ) ! For her little kiddies, two. “Johnny, you can have threequarters. Mary, just a half will do.”. Then the kiddies started eating. Soon Mary grabbed her final piece. Broke the tranquil mealtime peace. How much pizza then was eaten? How much pizza on the floor? Mother swore and left the building. “I should have ordered just one more”. “She’s doing well. She’s 8 now. She’s in Grade 3. She really enjoys the Pre-Algebra and the Pre-Textual Analysis.”. I thought I had found them all, but NO. • Understand addition as putting together and adding to, and understand subtraction as taking apart and taking from. What has subtraction got to do with taking apart ??? (The examples are all of the form 9 = 3 + 6 and so on). Also there is NO mention at all of subtraction as a way of finding the difference between two numbers, or of finding the larger of two numbers (anywhere). 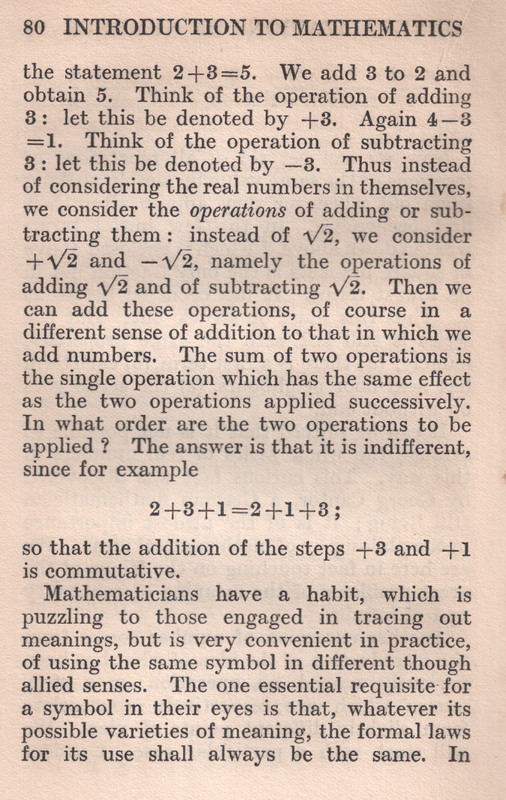 “To add 2 + 6 + 4,…” and “For example, subtract 10 – 8″. The poor symbols are clearly in great pain at this point. Just read aloud exactly what is written….. Here they all are, apart from associative, as it belongs to algebra.